Brandon Mull’s Seeds of Rebellion is full of suspense and action which draws the reader in from the very beginning. 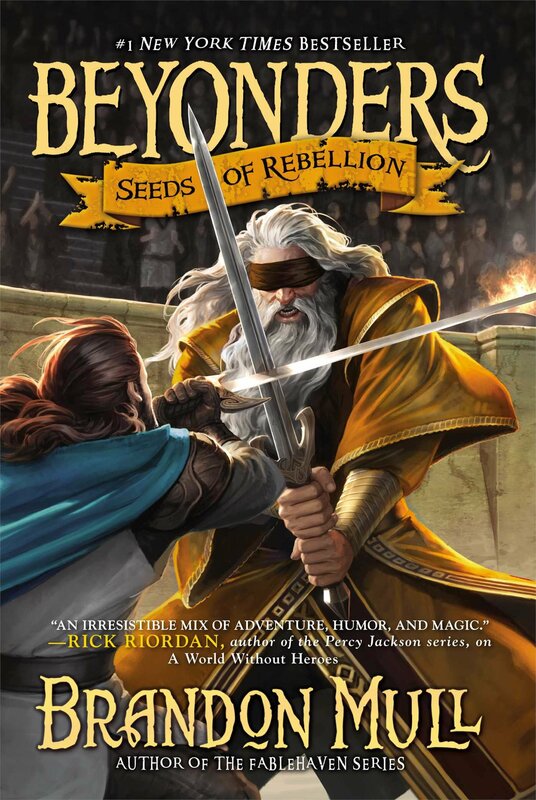 Seeds of Rebellion is the second book in the Beyonders series. Beyonders, begins with Jason Walker, the main character, on earth thinking about Rachel Woodruff who he left in an alternate universe called Lyrian. Finally Jason decides that he must go back to Lyrian to save Rachel. Upon entering Lyrian in the previous Beyonders book, Jason and Rachel joined the rebellion in Lyrian to try to unseat the evil emperor Maldor. The rebellion led by Galloran, an expert swordsmen who slayed the best swordsmen in Lyrian and Nedwin who specializes in poison and medicine and can make a person very ill, heal them and many other things. The rebellion is also led by Jasher whom is another expert swordsmen and has unlimited lives due to the seed in his neck which he grows from when he dies. Lastly the rebellion is led by Farfalee, Jasher’s wife, who is the smart one on the expedition. Going back to Lyrian and helping to unseat the evil emperor is another reason why Jason wanted to travel back there. The mouth of the hippo at Jason’s local zoo happens to be a one way portal to Lyrian which is how he journeys to Lyrian on both occasions. After traveling through the hippo, Jason arrives in Lyrian and is immediately caught up in the rebellion once again. Throughout the book, Rachel Jason and the other members of the rebellion journey, across Lyrian to try to increase their numbers for their war against Maldor. Near the end of the book Jason and company learned a very important prophecy from a famed oracle which gives the rebellion a task to help defeat Maldor and hope of winning. 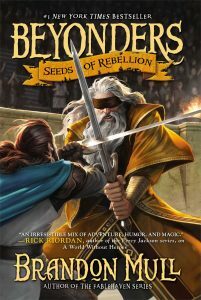 Seeds of Rebellion has kept me on the edge of my seat and has kept me wanting to read more throughout the whole book. Seeds of Rebellion is a great book because it has a clear theme of loyalty. Throughout the whole book, almost every character shows loyalty to one another. First, Jason loyalty to Rachel when he comes back to Lyrian to save her. Second, Jason shows loyalty to the rebellion by carrying out every task which is assigned to him. Nedwin is Gallorans loyal page and will protect Galloran till his death. Fourth, Jasher’s loyalty to Jason is so great Jasher actually dies protecting Jason. I also enjoyed the book because of it’s setting. It is set in almost a middle ages kind of time where everyone fights with swords, spears and axes. There are also some rare more high tech things also such as orantanium which is a mineral housed in a small glass cylinder and when broken open makes a massive explosion. Including mythical creatures like displacers which can take apart their whole body, wizards and mythical monsters and even crabs the size of a car and giant toads Seeds of Rebellion is made even more exciting. Next, I really loved this book because of Brandon Mull’s writing style, he describes everything to the smallest detail in perfect clarity it really feels like you are there with the characters. By inserting jokes at tense moments, Brandon Mull breaks up all the action with fun blurbs. Lastly, I adored this book because each character had such different character traits. Jason is funny and tells many jokes, Rachel is sensible and always has a come back for things that Jason says, and Galloran is typically serious but also is very kind. Nedwin takes everything very seriously like Galloran but also jokes around sometimes. Even though the book includes lots of action, it also plays into each character’s different traits which enhances the reading experience. I would recommend this book for ten to fourteen year old children because it includes some immature humor but also includes some larger harder to understand principals. Overall Seeds of Rebellion is an enthralling novel from start to finish.